Infrared Monitoring with Split Architecture System Design. 24 hour Refrigerant Leak Detection & Notification. 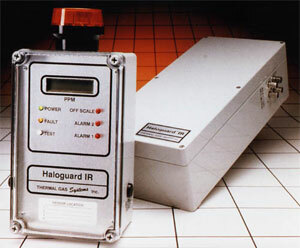 advanced system for detecting the presence of halocarbons. Alarm relays and analog outputs are designed to activate remote devices or to interface with an energy management (EMS) or building automation (BMS) system. To find out more, contact Thermal Gas Systems today. be repaired or replaced free of charge. Read terms and conditions of sale for complete warranty information.